Italy is a country that is known for its history and beauty, both of these things make it one of the most visited tourist spots in the world. There are many historic places in Italy some of those include Rome and the Vatican, however, one place that goes unnoticed is L’Aquila. The city sits in a calm valley and is surrounded by its ancient medieval walls. L’Aquila was emerged as strong city in the 13th century and is now the capital of Abruzzo and L’Aquila province and in those years, it has suffered a lot of natural disasters. There are many places worth visiting and many things that you need to do when you are in L’Aquila. Here we will highlight some of the main things that you need to do when you are in L’Aquila. 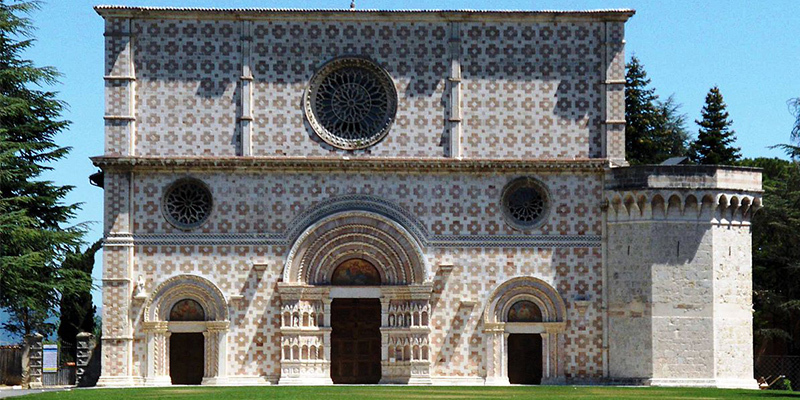 The Basilica di Santa Maria Di Collemaggio is a true masterpiece that has a Gothic and Romanesque architecture. The construction of the building started in 1288 and it is known for its pink and white exterior. If you go inside the Basilica then you will find beautiful frescos from the 14th, 15th and 16th centuries along with two Baroque altarpieces. You need to see all these things when you are in L’Aquila. 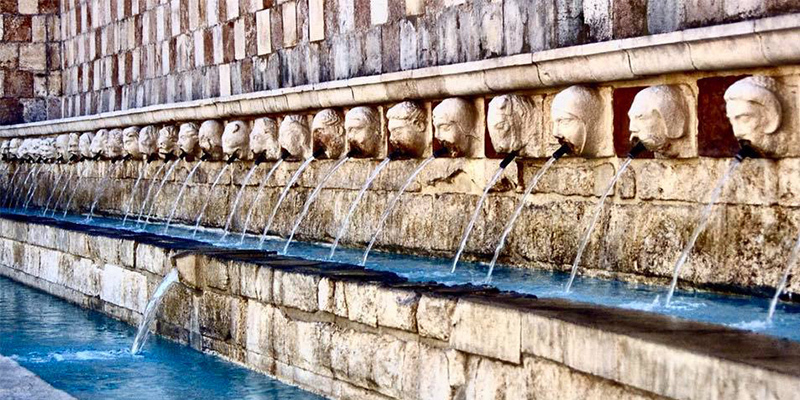 When you are in L’Aquila, then you need to visit the Fontana delle Novantanove Cannele in La Rivera. This fountain is one of the oldest parts of the city. The fountain was built in the year 1272 and since then it has become a prominent part of the city. There are many legends and stories that are associated with the fountain and that makes it all the more interesting. When you are in L’Aquila and you are passing through Piazza Battagliona then you must stop at the Fontana Luminosa. It would be even better if you visit the fountain during the night because that is when it really comes alive. 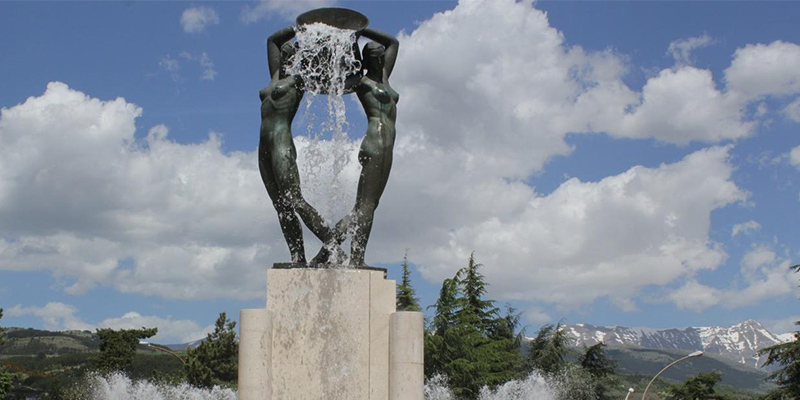 In the middle of the fountain, there is a detailed bronze statue of two women holding a basket. During the night the fountain is decorated with a display of colored lights and that is a real sight for sore eyes. These were some of the main things that you need to do during your time in L’Aquila. Visiting this amazing city is something that very few people get to do, so if you are one of those lucky numbers then make sure that you visit every popular place in the city. You must visit all of these places when you are in L’Aquila because that will really make your trip. There are many more places that you need to visit and many other things that you need to do when you are in L’Aquila. However, you will probably have limited time during your visit and will not be able to visit every single place. This is why it is a better idea to stick to the most famous spots.